Regardless of your business structure – whether you’re operating as a partnership, sole trader, or company – it’s a fact that if your business is profitable, you will have to pay tax on those profits. Often, small and medium-sized business owners fall into the trap of thinking that tax reliefs are only really available for huge multinational companies. Thankfully, this isn’t the case and there are plenty of tax reliefs available for SMEs as well. 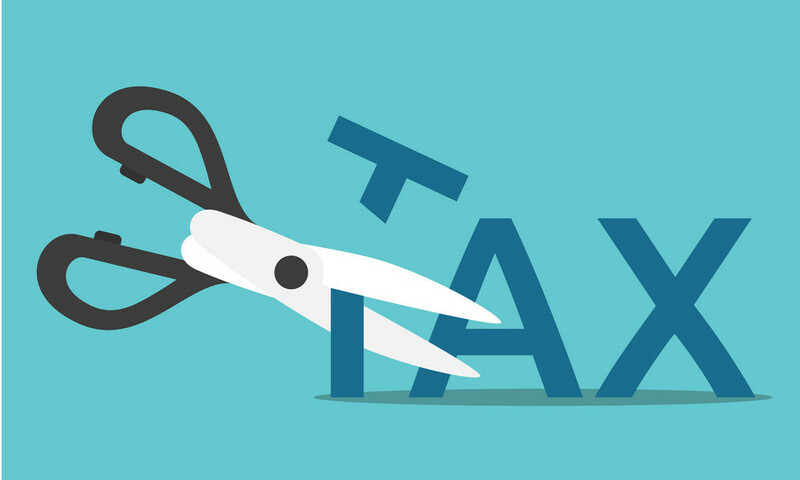 Below are just some of the overlooked tax reliefs that your business could claim to reduce your income or corporation tax bill. Business owners may think that tax relief for research and development activities is restricted to businesses that employ a small army of people in lab coats that work in high-tech science labs. In actual fact, the definition of what qualifies as research and development for tax purposes is much broader. This means that if your business is involved in researching or developing a product or service that aims to make an advance in the areas of science or technology, it may be worth reaching out to an R&D tax specialist to see whether your business would be eligible for this relief. Please note that only companies can make a claim for research and development tax relief. There are two different ways that an eligible small or medium-sized company can benefit from the relief. Firstly, qualifying expenses can be eligible for an extra 130% deduction. So if you spent £1,000 on qualifying research and development expenses during the tax year, then you could claim an additional £1,300 (£1,000 at 130%) deduction against your company’s profits. Secondly, if the company is loss-making, then there is also the potential to claim a tax credit of up to 14.5% of the surrenderable loss. Although claiming tax relief for research and development may seem complicated, a specialist tax adviser can help you through the entire process, and it’s worth reaching out to them if you have any queries about how the relief could apply to your business. Businesses can claim capital allowances on certain types of asset purchases that they make for their business, including items such as business cars and other business vehicles, equipment, and machinery (collectively known as “plant and machinery”). For many small and medium-sized businesses, the costs of purchasing qualifying plant and machinery can be offset in their entirety through the Annual Investment Allowance (AIA). At present, the annual AIA amount is £200,000. This means that businesses can claim 100% tax relief for qualifying asset purchases of up to £200,000 in the period that the asset purchase is made. Equally, there are other kinds of asset purchases that might attract 100% tax relief. For instance, purchases of certain environmentally-friendly or highly energy-efficient assets may qualify for relief under the Enhanced Capital Allowances (ECA) scheme. While 100% deductions are always good news for businesses, it’s worth noting that not all plant and machinery purchases will qualify for the above reliefs. Calculating how much your capital allowances deduction should be for the year can be difficult, so it’s always worth reaching out to a tax specialist or your local accountant for advice when it comes to calculating how much your business could claim. If your business has employees, then you’ll most likely have to pay secondary Class 1 National Insurance Contributions (NIC) on each employee’s salary at a rate of 13.8%. To save on NIC costs, try looking at claiming the Employment Allowance. The Employment Allowance is a fantastic way to save tax, as it reduces the amount of Class 1 NIC that employers usually pay each year by up to £3,000. You will need to have more than one employee/director on your payroll to claim the allowance. If this is the case, the allowance is claimed through your business’ payroll process, meaning that no NIC becomes payable until the allowance is used up. The allowance can be claimed at any point during the tax year. The Employment Allowance could not only improve a business’ cash flow, but it may also mean that your business has no NIC to pay at all during a tax year, so it’s well worth looking into if you aren’t claiming it yet. Another relief that businesses may not have previously considered is the business asset rollover relief, known as rollover relief for short. This relief allows a business to delay paying capital gains tax on the sale of a business asset, provided that part or all of the sale proceeds are spent on a new asset in the business. Under the relief, the capital gain on the sale of the original asset becomes due when the new asset is sold. It’s worth noting that rollover relief is a type of deferment relief. This means that, while your business is not necessarily saving any tax by claiming the relief, you can defer when you pay tax on the original asset’s disposal to a later date. This could be particularly beneficial for a business from a cash flow perspective. Rollover relief is not applied automatically and has to be claimed. Generally, claims should be submitted within four years of the end of the tax year in which the business sold the original asset or bought the new asset – whichever event happened later. Further information about the relief is available on HMRC’s website. If you work with an accountant to prepare your business’ tax return, then one of the best things that you can do to try and maximise the amount of tax deductions you can claim is to send all your relevant financial details to your accountant well in advance of any filing deadline. This is because your accountant will have much more time to review your business’ spending for the year, and can hopefully identify any additional tax deductions that could be claimed. One easy way to communicate with your accountant is by giving them access to an online accounting software programme such as AccountsPortal. AccountsPortal lets you grant access to an unlimited number of users to your business’ financial data, meaning that it’s never been easier to share the details of your business’ income and expenses with your accountant. Try a 30-day free trial to see how AccountsPortal can benefit your business.